If you been on the post, time to hop off!! During this spectacular event Stampin’ Up! is still offering your starter kit at $99. Ok, that’s nice, but now they are going to let you pick out one of the Stamp Pad Family Sets (That’s 10 Stamp pads) How AWESOME is that? This is only good for the month of July, so you really don’t want to miss this. 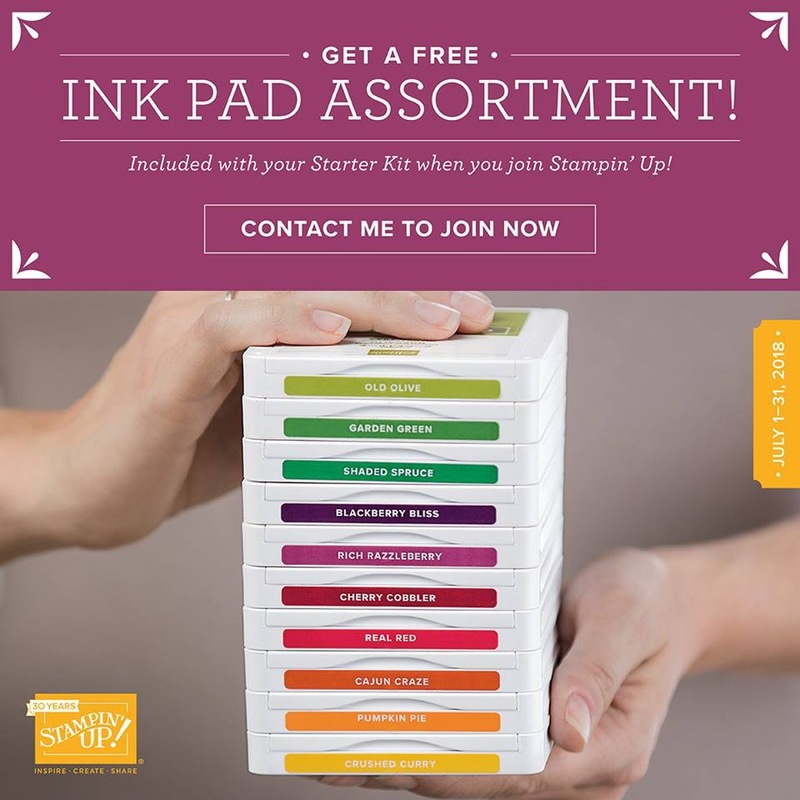 This gives you an opportunity to pick out everything you need to get started has a hobbyist or a demonstrator and get those stamp pads for free!! 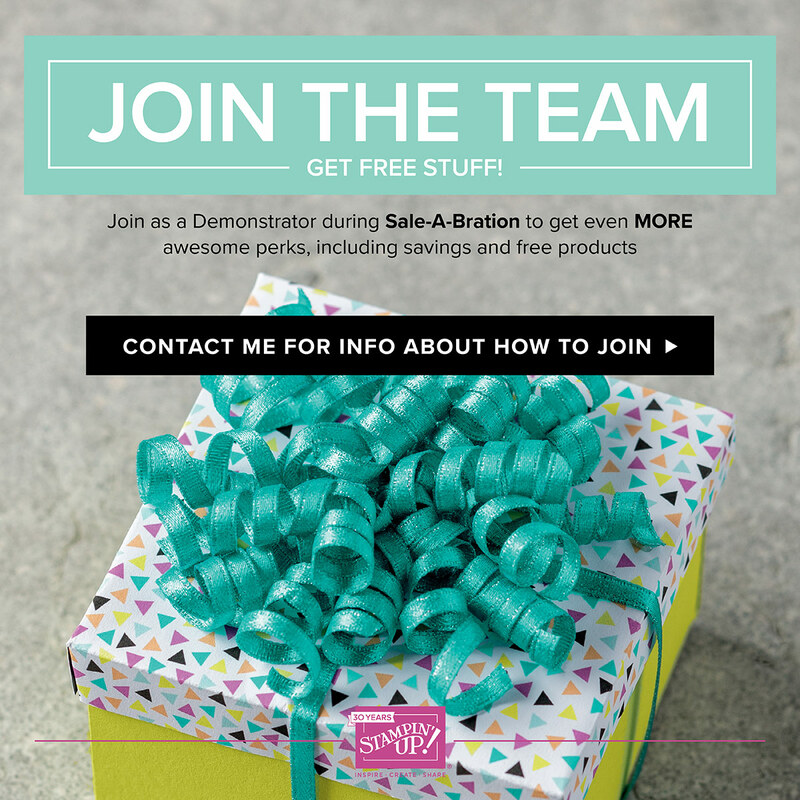 Whether you want to start your own home based business or a be hobby demonstrator to get the discount this is an unbelievable deal that does not come along often. I’m really excited about getting the opportunity to share! This is my second year and I promise you that I have not regretted my decision once. I have made friends from all over the world and actually have met them at conferences and learned so much about the hobby. Don’t miss this chance to get in on something so fun, unique and creative. If you are interested or just want to ask questions, please email at awest@craftydreams.com or go to this link! JOIN MY TEAM! Hello on this beautiful day! I had several people who have asked how can I get started without spending a ton of money. I took a good look of what I know I will need every time I get started with a project. As you will see in the video that I put together there is two packages. 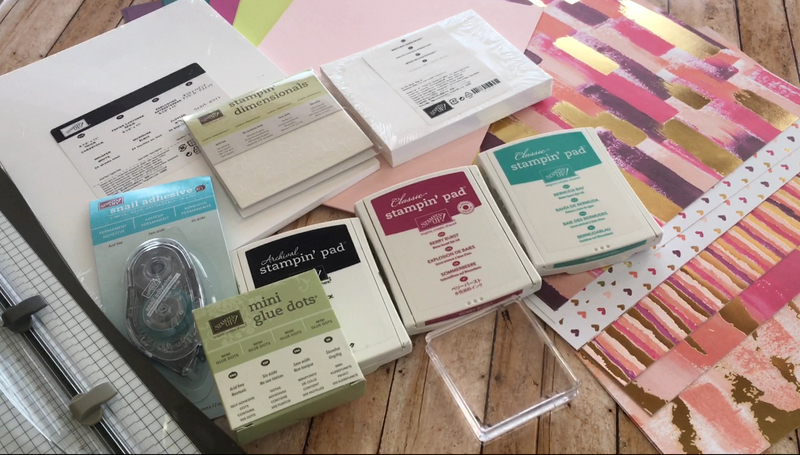 What I included will help you to start building your supplies and then you can add as you go. I’m really looking forward to your thoughts and definitely crafting with you. Taxes and Shipping not included. With either of these packages you will be on your way!